We all love the look of stylised concrete floors, so when designers learn we can create the exact same effect with our large format, ultra-thin tiles…they get pretty excited. 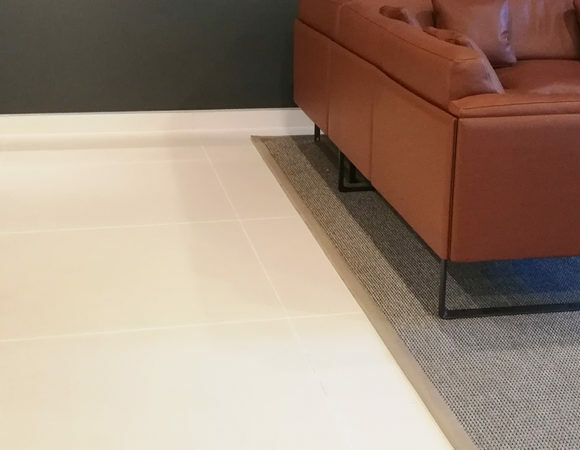 That’s because our three most popular Shannon ‘concrete look’ tiles are easy to handle, fast to install (being just 3.5mm or 5.6mm thin), and actually tougher than the original material. Clean, convenient and perfect for walls as well as floors and facades in virtually any commercial location – offices, hotels, shopping malls…even bathroom pods. But the big hook is the look, together with a big tick in the sustainability box for a SURFACE manufactured with up to 40% pre-consumer recycled content, already accredited for BREEAM & LEED and pending Ska, LCA & EPD assessment.